Jillian Davidson leads America Rising’s State Team. She previously served as the deputy research director on the State team and a research analyst on America Rising’s 2016 Presidential team. 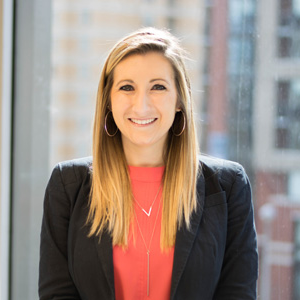 Before joining America Rising in 2015, Jillian was a coordinator on the National Republican Congressional Committee’s Independent Expenditure team during the 2014 cycle. She also worked as a Regional Field Representative on Scott Brown’s 2012 U.S. Senate campaign and on Rick Perry’s 2012 presidential campaign. Jillian holds a Bachelor’s degree from Mount Holyoke College. In her spare time, she enjoys watching the New York Jets, and spending time with her husband, Josh, and their dog, Ziva.